This is my third mother's day as a mom. My first as a mom of 2! I have always loved celebrating the awesomeness of my own mom, but this day seems to take on a whole new meaning each year since having kiddos of my own. This year, I'm hit really hard with how lucky I am to be surrounded by moms that are literally a daily inspiration. I realized, that I have a confession to make. I. Love. Stage Moms! Having so many young students, I end up working with most of their moms as well. 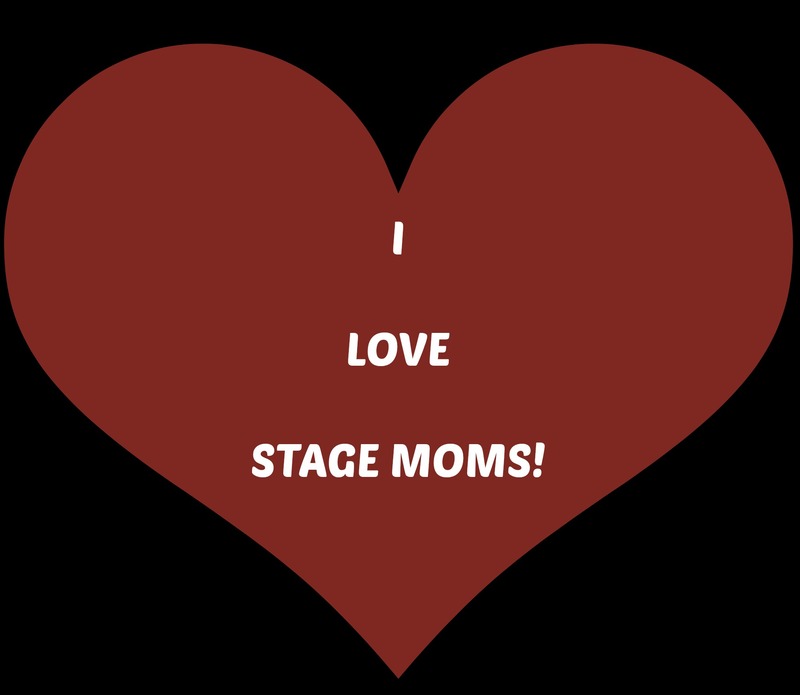 We all know that the term “stage mom” doesn't always have the nicest connotation. I mean, have you seen the commercials for DANCE MOMS? They make them out to be crazy, back stabbing jerk faces. Maybe I am just lucky, but this could not be further from the truth. The moms that I have met while working as a voice coach, dance teacher, and director have taught me more than I could have ever imagined. They are loving, hard working, caring, patient, funny, and real. They give of themselves completely so that their children can throw themselves into what they love. I don't know where I would be without their advice, the examples they set and the support they have given my family while I have taken some time off to recover and welcome our newest baby into our family. This mother's day, I'm feeling so super lucky to be surrounded by so many amazing moms. You love your children fiercely, you push them to be better people and allow them to follow their hearts by filling their lives with music and laughter. I can't wait to see the amazing adults they become. And, I honored to be able to put your advice into action with our young boys. Happy Mother's Day! I'm so grateful for the many moms in my life. What a true blessing it is to have such a wonderful mom caring for, guiding, and inspiring OUR kids as they work to pursue their dreams. Thank you Molly!! Thank you! Looking forward to getting back to work soon!